The present downloadable handout is recommended for high school students and elementary school students at Elementary (A1), Pre-intermediate (A2), Intermediate (B1) and Upper-intermediate (B2) level. 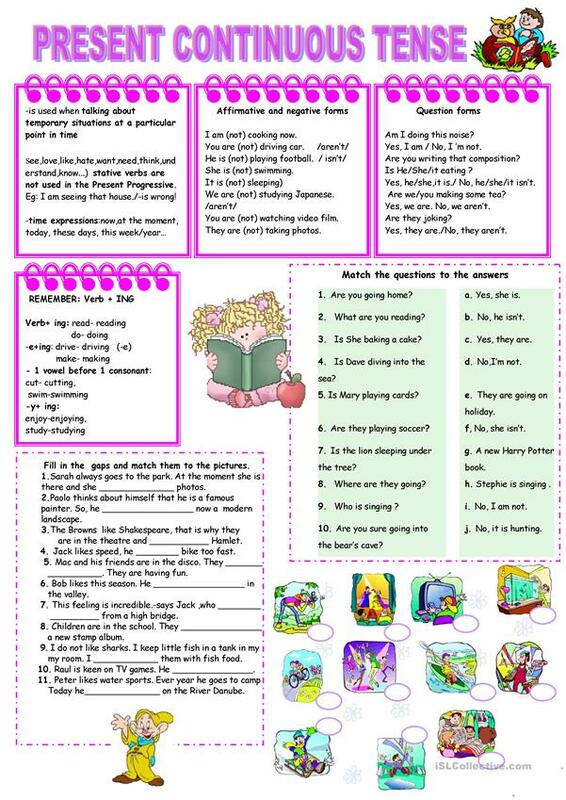 It is a useful material for practising Present continuous (progressive) tense in English, and is useful for working on your pupils' Writing skills. You will find the answer key at the end of the worksheet.